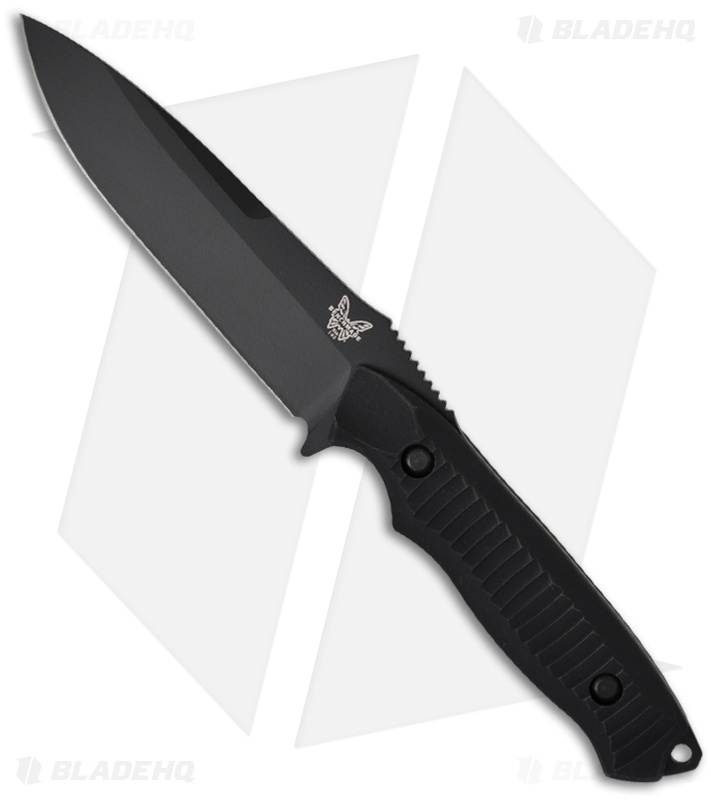 Be sure to view our other Benchmade Nimravus Knives! The 140BK Nimravus is a well-built, high quality fixed blade knife. 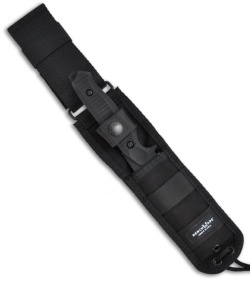 The 154-CM stainless steel drop point blade has a tactical black BK1 finish and a plain edge. The full tang handle is ergonomically shaped and features a deep index finger groove and a notched thumb ramp above for superior hand grip. The scales are anodized 6061 T-6 aluminum for lightweight performance. The Benchmade Nimravus line of knives come with a tough MOLLE compatible nylon sheath. The Benchmade Nimravus Kydex sheath is also available separately. I've had this knife for about 5 years now, the thing has taken a beating. I've chipped the edge dropping it on the ground multiple times and it always sharpens back to a razor with a little bit of love. Holds its edge well, comfortable in the hand, sturdy. Sheath holds up well too. Never used it to baton, and can't say I would considering how thin it is, but it does everything else extremely well.